The leaves are falling, the temperature’s turning, and the world is getting… spoooookkyyyy! 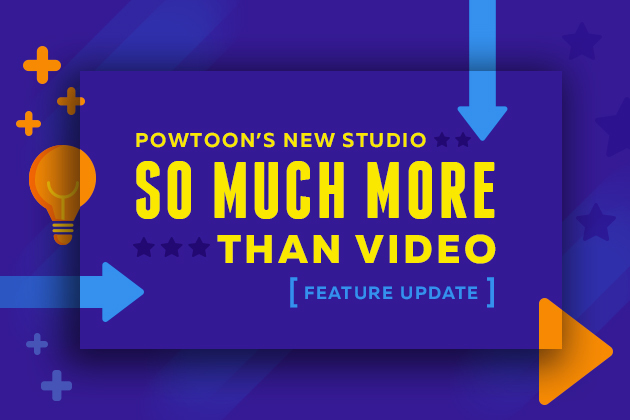 The time is near for all hallows eve, or as we’ve come to know it: Halloween — AND time for the next installment in our Powtoon Squared² #MakeItAwesome Series (video below)! The trick/treat filled night of revelry we know today has its roots back in the pagan practices of pre-Christian Gaelic and Welsh peoples. The Samhain festival, marking the end of summer, celebrated that special time of the year when the seasons turn over, and the connection between worlds opens up. Celebrants would light special bonfires, and await the presence of fairies and sprites who would take advantage of the open door to cause mischief in our world. What’s the Deal with the Costumes?! Dressing up became a way to distinguish oneself from these mischievous spirits while going door-to-door to trade a few lines of poetry or song for special foodstuffs. So, we see, even a couple thousand years ago, we were dressing up and begging for tasty treats from our neighbors at this time of year. #MakeItAwesome — Ep. 1: What Is the Most Awesome American Food? #MakeItAwesome — Ep. 2: What Is the Most Awesome Emoji? #MakeItAwesome — Ep. 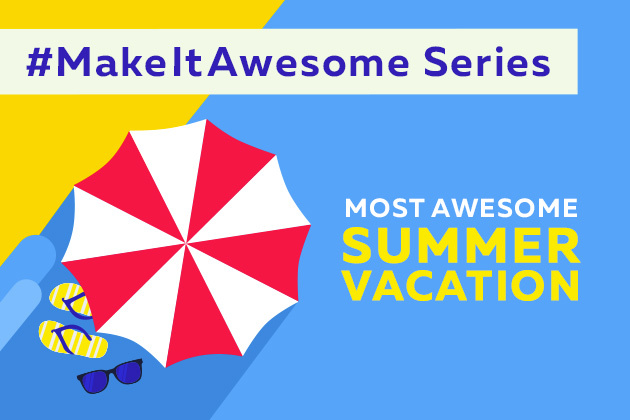 3: What Is the Most Awesome Summer Vacation? #MakeItAwesome — Ep. 4: What Is the Most Awesome Halloween Costume? Maybe you agree — maybe you disagree! 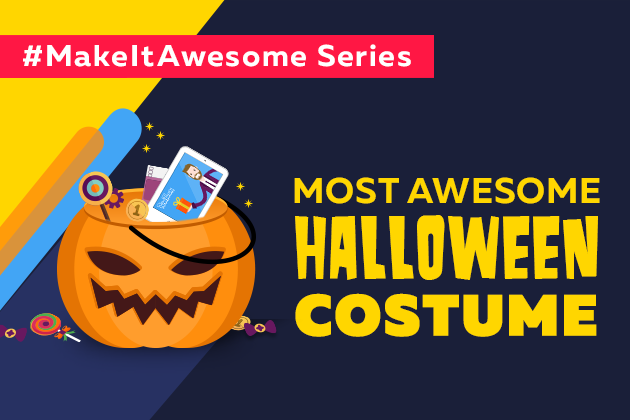 According to you: What’s the most awesome Halloween costume? Leave a comment below!